Looking for a provider that offers a full complement of flexible services at very competitive prices? With 99.9% uptime guarantee and packages designed to grow with you as your online presence develops, IX Web Hosting is well worth investigating. IX Web Hosting is an established provider, offering customer service graded on “caller happiness,” not call times or quotas. In other words, the company measures its success by how well it provides solutions to customers’ needs That is a very refreshing attitude compared to that of many bargain hosting services..
IX Web Hosting began in 1999 as a small, home business and has become a global hosting provider with around half a million sites using its service today. The company is based in Ohio and offers a range of products it claims will “grow with you”, from shared Web and VPS hosting to cloud hosting. Those services cover a broad base of users from the most basic level up to enterprise level solutions. As you will see in this IX Web Hosting review, the company is so confident in their products and services, it offers free week-long trials, a 30-day money-back guarantee and no long-term contracts. Systems are user-friendly and members of the support team are available to contact 24/7. IX Hosting has also earned trust-boosting accreditations from bodies including TrustE, McAfee and E-commerce HackerShield. With plenty of accessible support, a wide range of packages and helpful tools like a free site builder (because not everyone's a Web designer! ), IX Web Hosting has something to offer most online projects. Its innovative cloud hosting service is an addition which few major providers in the industry currently offer, designed to give flexibility to growing businesses – without the need for their own IT team or server. The provider's most used plans come from their shared hosting service—like an IX Web Hosting WordPress site, making this a good place to start your first Web page. Another interesting item to note: The company offers two different control panels. This may not seem like a big deal on the surface. 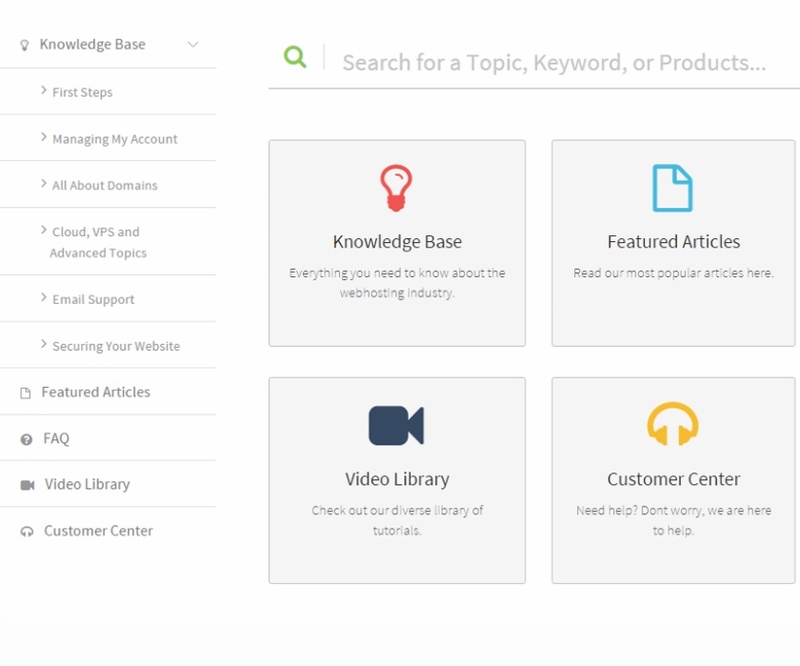 However, cPanel and Plesk users do not have to learn how to use a new tool. Either can be preinstalled making accessible for your initial IX Web Hosting login so that you can get to work right away. Offering unlimited disk space, bandwidth, and domains, a free website builder, and up to three free domain registrations for your first year of use, IX Web Hosting matches most major hosts in the market with the features included its shared hosting packages. The key difference? All plans are unlimited, not just the more expensive packages. As most IX hosting reviews will report, this gives you more room to grow for your money. The cloud hosting service is another stand out product, with few other providers offing a comparable package (great for rapidly growing businesses not ready to invest in an in-house IT team). Returning to its most popular trio of Linux shared hosting packages (Expert, Unlimited, and Business), I like that each plan comes with 1 free IP address to give your site a unique identity online (great for Search Engine Optimisation). Further IPs are available as an added expense. It's worth bearing in mind that IX Web Hosting offers two varieties of shared hosting – both Windows and Linux. Linux's three packages have been outlined above, but the two Windows shared hosting options (Unlimited Pro and Expert Plus) are different. The primary difference is that you'll receive more dedicated IPs and free domain registrations with Windows packages. However, the decision should always rest on which operating system is right for your business or project. Two VPS (Virtual Private Server) options are available for businesses looking for more room to handle traffic spikes and more features to help them do it. With up to 8 CPU cores, 2048MB of guaranteed RAM, 2000GB data transfer and a choice of control panels – whether you want to use cPanel, Plesk, or IX Web Hosting’s proprietary version, you’ll be able to absorb the added visitors to your site with ease. Offering both Windows and Linux hosting, IX Web Hosting is flexible enough to meet most users' needs. It also takes security very seriously. From IX Web Hosting FTP, 27/4 spam filtering, and malware monitoring for keeping your websites safe to accreditations from a long list of bodies guaranteeing digital security including McAfee and E-commerce Hackershield, this technology is designed to offer online protection. IX Web Hosting constructed their own Tier 3 n +1 redundant data center on site. Designed, owned, and operated exclusively by the provider with 11,000 square feet of space, auto-balanced tiered storage to optimise uptime and a high speed connectivity network, the company has complete control of the server environment Few hosts can claim their own on site center, dedicated to meeting consumer needs, which puts IX Web Hosting ahead of the game when it comes to reliability. With that said, there have been some reports of slow page loading speeds prompting a few complaints from users who need super-fast sites. These reports have been mixed and, from what I could gather, it's likely the provider have a firm handle on any rapid improvements that might be required. With IX Web Hosting plans starting from $7.95 per month, this is a mid-priced offering which becomes much more cost-competitive when you look at what each package includes. With unlimited space, data, and domains, all users get a lot of bang for their buck., but those who don't need oodles of space should be able to find smaller packages with fewer allowances for less elsewhere. I appreciate that the company offers a one-week free trial. That may not be enough time to explore every nook and cranny, but it does allow for a proper test-drive. A 30-day, money-back guarantee also sweetens the deal if you still wanted some added peace of mind. Here are the current prices from the IX Web Hosting main page. I did not include any special prices or introductory deals as they are always subject to change. From one-click installation of applications including Joomla, WordPress, Drupal and MySQL Databases, the company has worked to make its hosting service as easy to use as possible. With a clear and simple IX Web Hosting login, control panel, and unlimited email accounts ready and waiting to use, this is a fairly straightforward system that shouldn't take too long to master, even for a beginner. It's not the flashiest control panel you'll come across, however, with 24/7 support on hand, the free website builder is a great help to first-time users. The IX Web Hosting site builder does not have as many obvious bells and whistles to help you get started with tasks like developing an e-commerce site, though. If you have a project that demands more control, the company offers more familiar cPanel and Plesk options. With free domain registration for one year and a free click-to-create website builder included in every package, IX Web Hosting is a handy provider for users looking to create a Web page from scratch with limited experience. 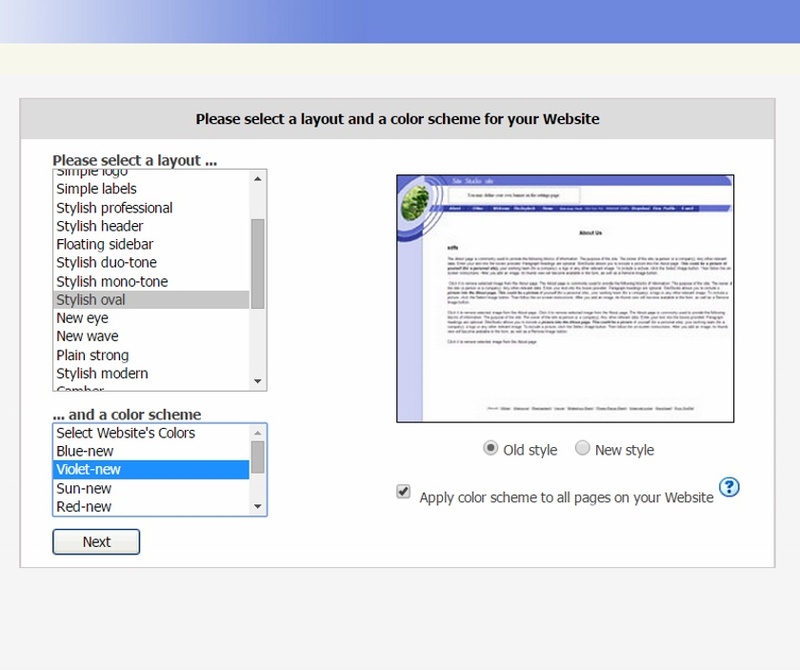 The site builder includes a one-click install blog, an easy-to-use file manager, and an easy set-up photo gallery. If you're really stuck, you can spend a little more and ask the IX Web Hosting in-house professional design team to cover that part of the project for you. IX Web Hosting is a well-received provider with an excellent focus on the customer experience. Even without any special pricing, I feel that the company offers an exceptional product at a competitive price, making it a great value. Here are some of the areas where IX Web Hosting really shines and a few other areas where I think that they could stand to improve. Customer service is generally regarded as good at IX and the management work to create an environment in which their customer support team strive to make customers happy – not fulfil quotas. This means you'll generally find a helpful rep on the end of the line when you need assistance. With phone, ticket, email and chat support, there's a wide range of ways for you to get hold of help. For the price-shoppers out there, the company offers a number of different ways to save. All of the hosting plans are reduced significantly from their normal prices. Some of the discounts are over 50 percent. Make sure that you look at the bottom of the company’s main Web page. There is a link for IX Web Hosting coupon codes. 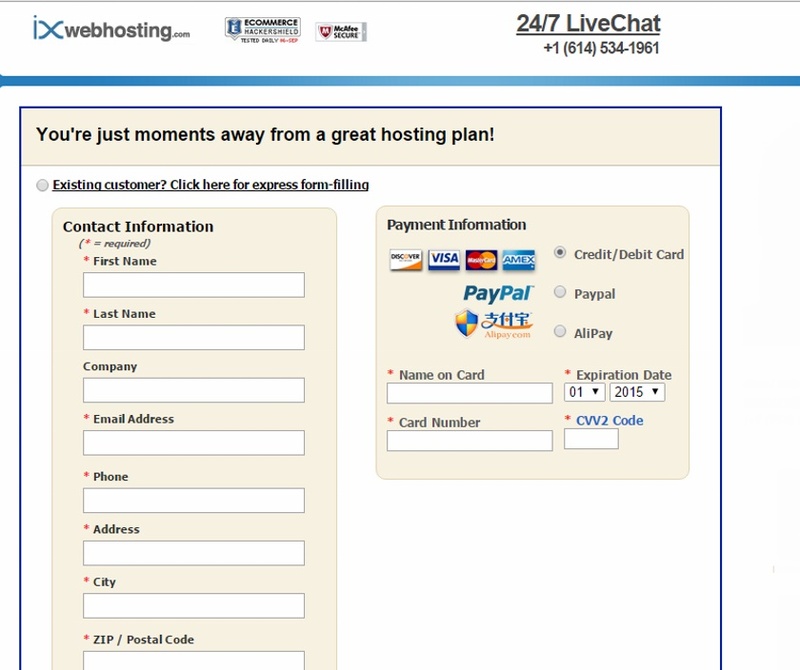 A quick Web search will pull up some third-party IX Web Hosting promo codes, too. Just make sure to verify them first. I did some more snooping and found that the company has a secret link that leads to a coupon for 75 percent off. The deals are out there! I didn’t have to do too much digging to find some great discounts for IX Web Hosting. With every plan discounted, coupon codes offered by the company, and other promo codes to be found on the Web, there isn’t a need to do too much in the way of free offers. That said, the company does offer a free seven-day trial for all three of its shared hosting plans. Potential users who are serious about creating an online project should easily be able to determine if IX Web Hosting is right for them within seven days. Beyond that, the company also offers a 30-day, money-back guarantee. Because the company offers so many different types of hosting and incorporates both Linux and Windows platforms, there is not one consistent IX Web Hosting control panel. The shared hosting plans use the company’s proprietary control panel. I find it fairly intuitive and well organized. Fans of cPanel will want to look at the Linux options available in VPS and cloud hosting plans if they want the industry standard service management tool. As cPanel is a Linux-only application, Windows plans run the Plesk control panel. If you don’t like your shared hosting neighbors cramming your space, need scalability for growth, want your own operating system, and demand flexibility for traffic spikes, IX Web Hosting VPS may be the best bet for you. You’ll have a securer environment, better uptime, and more system resources than you would with shared hosting. I like that the company provides its VPS customers with choices, too. IX Web Hosting offers their VPS service on either Linux or Windows platforms. The Linux platform uses the cPanel control panel while Windows works with Plesk. Each platform has two available plans from which to choose that include unlimited domains, complete root and admin access, and multiple dedicated IP addresses. Available on either Linux or Windows operating systems, the company offers multiple tiers of shared hosting plans. All plans deliver unlimited disk space, bandwidth, and hosted domains. The highest tier (Unlimited Pro) includes a dedicated support technician. Customers receive that employee’s name, contact information, social media connections, and even their work schedule. All plans include site building tools such as one-click blog and photo gallery installs, an easy file manager, and a library of site-design tutorials. I must point out that while IX Web Hosting uses the cPanel as the control panel for its VPS and cloud hosting plans, all shared hosting pages use the company’s proprietary control panel. IX Web Hosting does not offer anything in the way of dedicated hosting. For customers with online projects that demand that sort of scale and control over the server environment, I recommend either taking a look at the company’s cloud hosting service or researching other hosting providers. With cloud hosting, you will lose some of the control that you need; but, you will certainly not be left wanting for storage capabilities. For customers demanding the worry-free benefits of the cloud, IX Web Hosting has you covered. Many customers with large online projects use the IX cloud to host their sites instead of dedicated hosting servers as the latter requires more hands-on tech time. Because of the redundancy created by cloud hosting, crashes and data loss are eliminated. One aspect of cloud hosting that I personally think is awesome is the fact that users are only charged for the recourses that they use, like storage, software, and bandwidth. With dedicated hosting, you are paying for parts of the server that do nothing other than collect virtual cobwebs. Cloud hosting eliminates that inefficient environment. It can be virtually impossible for an online business to function without email. Understanding this, users can take advantage of IX Web Hosting’s email packages. One IX Web Hosting login provides access to the control panel where you can create unlimited email accounts. These accounts are stored on separate servers. If your site were to go down, you would still be able to remain in contact with your customers. Also located in the control panel are the IX Web Hosting email settings, which allow users to set email forwards, mailing lists, and auto-responders. On-the-go customers can stay current with their business communications and check their mail from any hand-held device with IX Web hosting webmail. IX Web Hosting offers unlimited hosting plans which are a value when compared to much less ample offerings from other providers in the industry. With good customer support and plenty of resources to help first timers grow and established businesses flourish, this is a worthy provider with a good reputation. Some concerns about page load speeds have been reported but with IX Web Hosting taking pride in their on-site, self-designed data center, these issues are likely to be a thing of the past. If you're looking for a very cheap, very basic package, you may want to try another provider. But, if you're looking for room for your online project to blossom with help from a supportive provider, IX Web Hosting is well worth the investment.